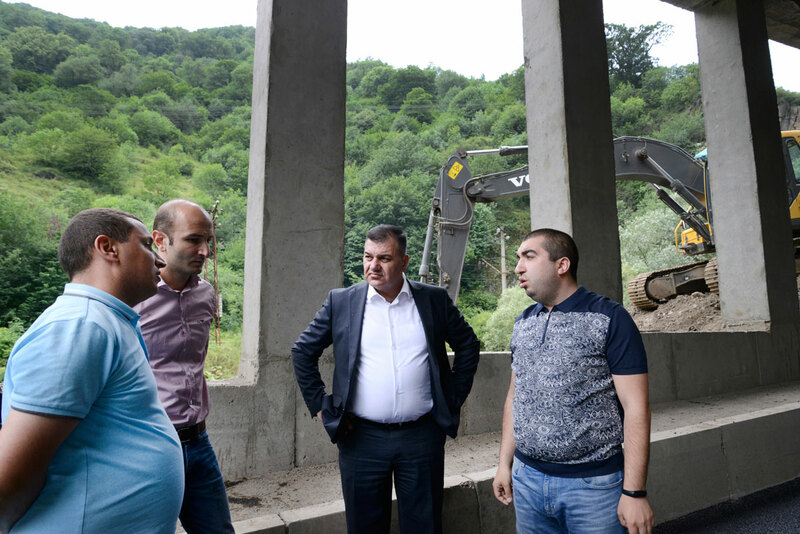 Mr. Ashot Hakobyan, Minister of Transport, Communication and Information Technologies of Armenia, made a working round to the renovation construction sites of the M6: Vanadzor-Alaverdi interstate road rehabilitation where the works for the road renovation are actively ongoing. 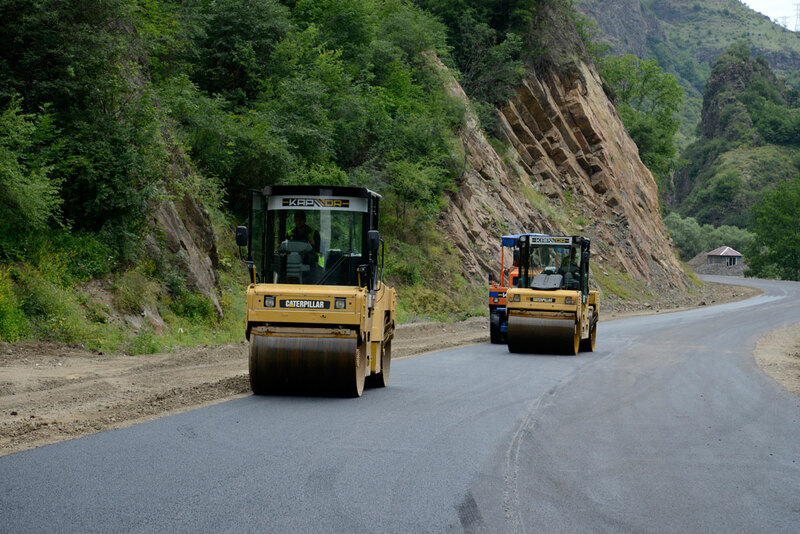 In order to speed up the works the road has been divided into 3 sections. 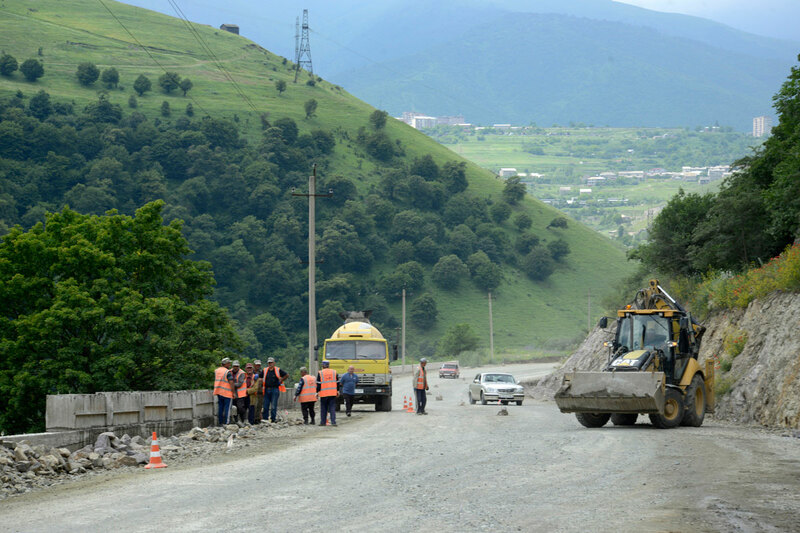 3 construction companies simultaneously work on the road section km 38 – “Araratchanshin”, “Chanaparh” and “Kapavor”. The inner layer of the asphalt-concrete cover has been layered on a number of the road rehabilitation sections. 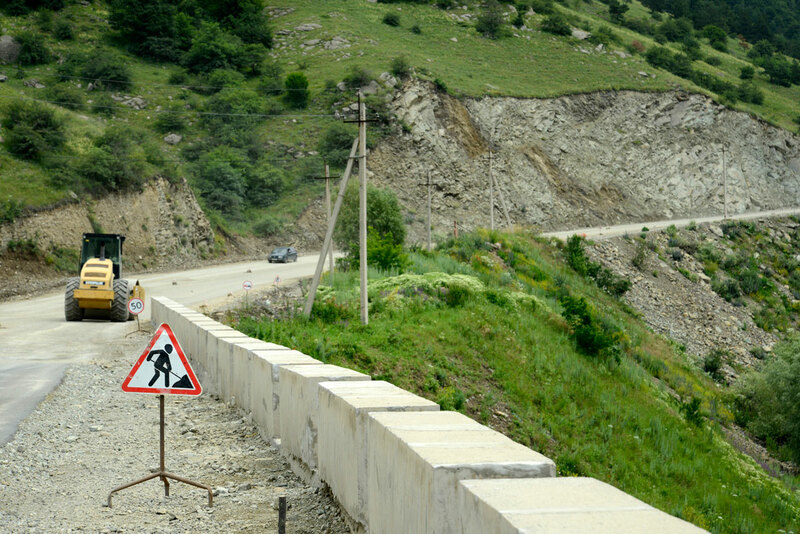 The construction of the retaining wall has been completed on km 19 of the road – in the territory of the village Pambak. 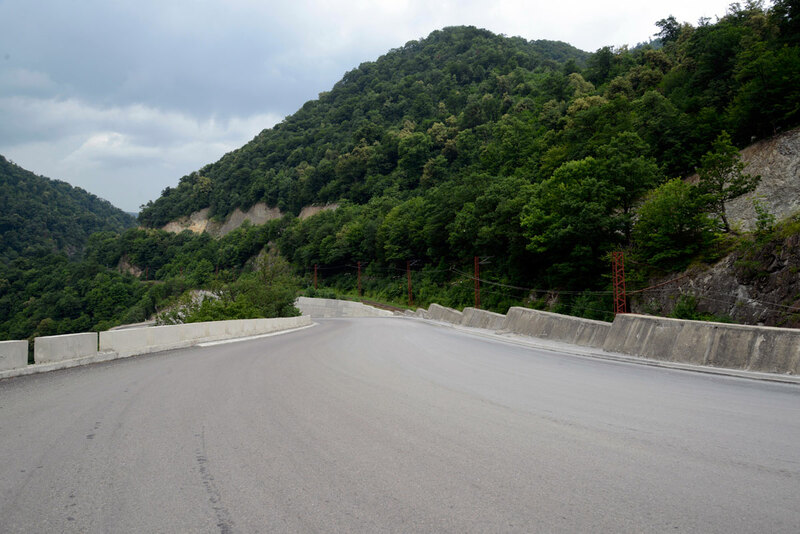 The horizontal alignment of the road section has been changed here which has resulted in the reduction of the longitudinal slope. 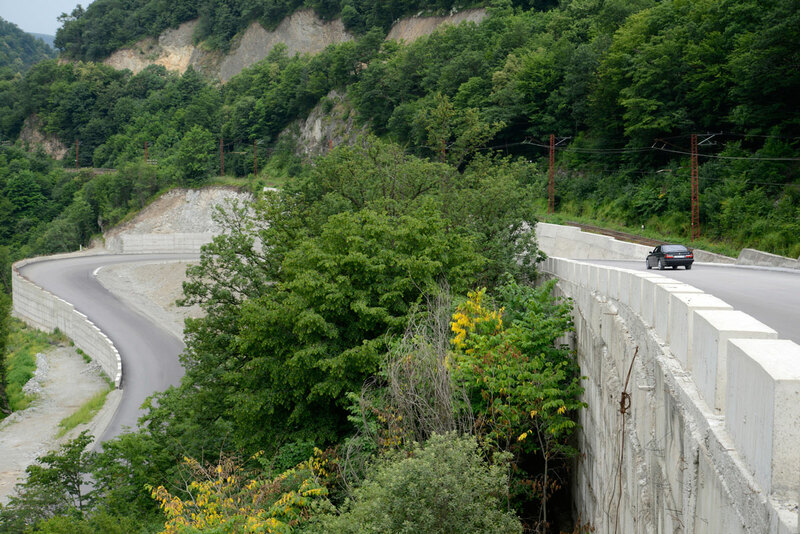 In order to ensure the stability of the earth roadbed a lower retaining wall of iron reinforced concrete has been constructed. As a result, the level of visibility has increased making the abrupt turn safer. 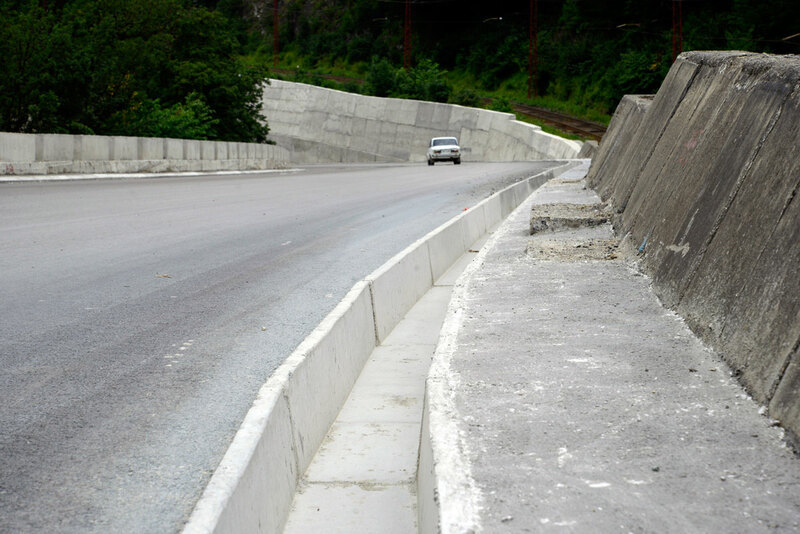 In order to prevent the potential colapses of the rail-track’s earth roadbed running in the adjacent area, retaining walls of concrete have been constructed. Retaining walls have also been constructed in those sections where there’s risk of road flood in case the river overflows. 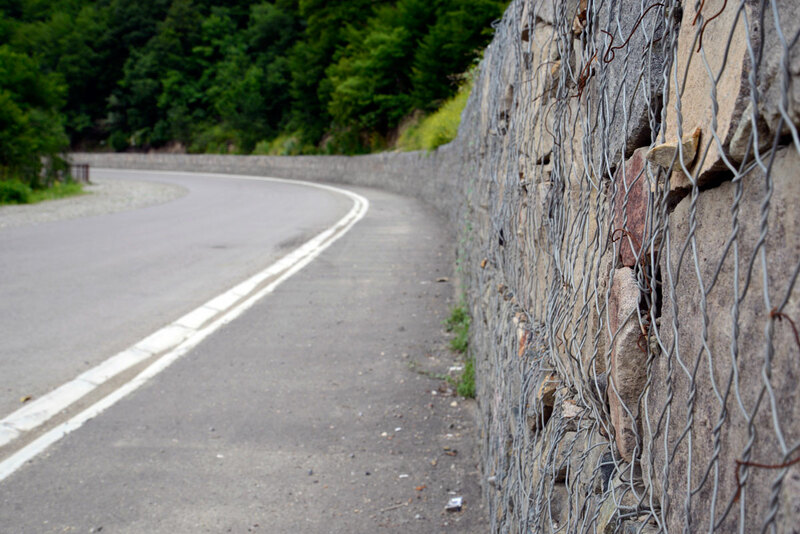 A study along the entire length of the road has been conducted which has resulted in the installment of concrete barricades and barriers in all the risky sections. 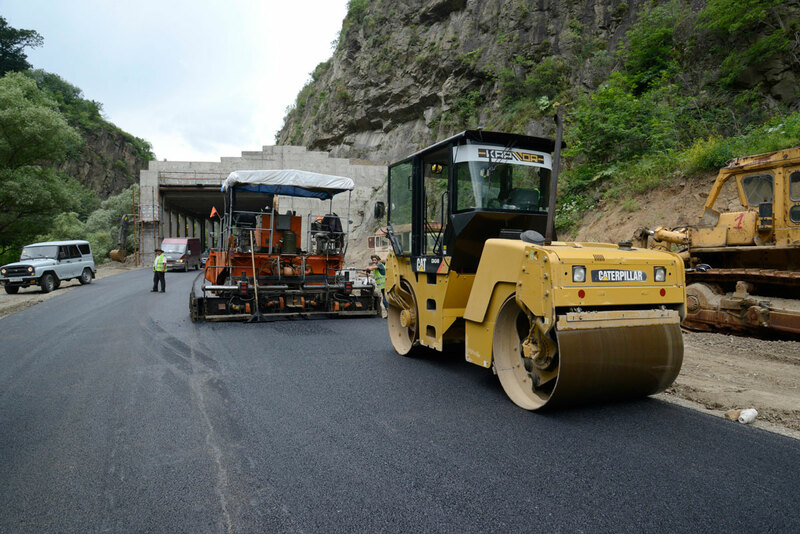 Works have also been realized to rehabilitate and construct retaining walls, to restore the water drainage system, to construct pavements, gabion retaining walls, to reallocate and reconstruct the waterlines, as well as earthwork. 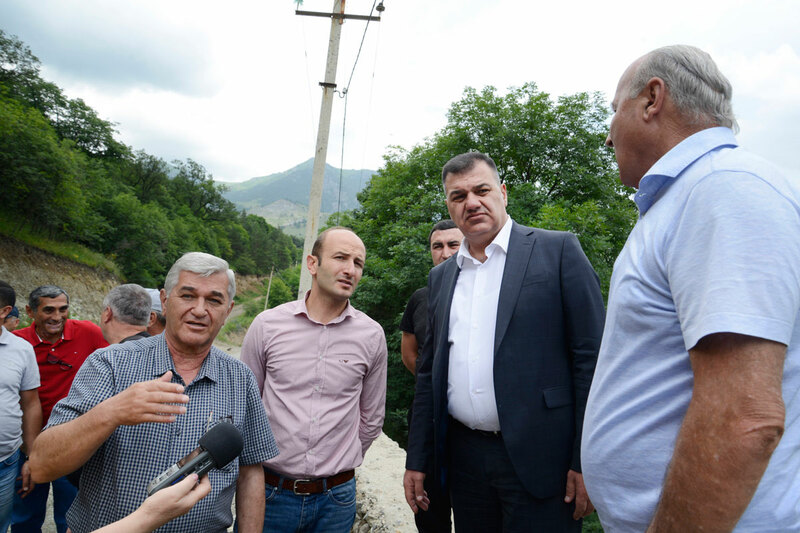 The Minister paid special attention to the work process of eliminating the recent collapse outcomes on km 10,8 of the road. 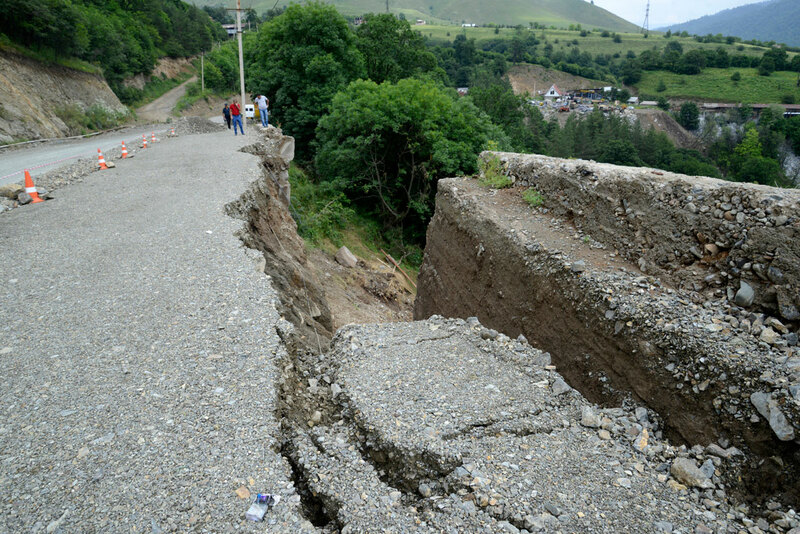 The retaining wall constructed decades ago has crumbled caused by heavy rains and landslides. There’s also risk of a new collapse. 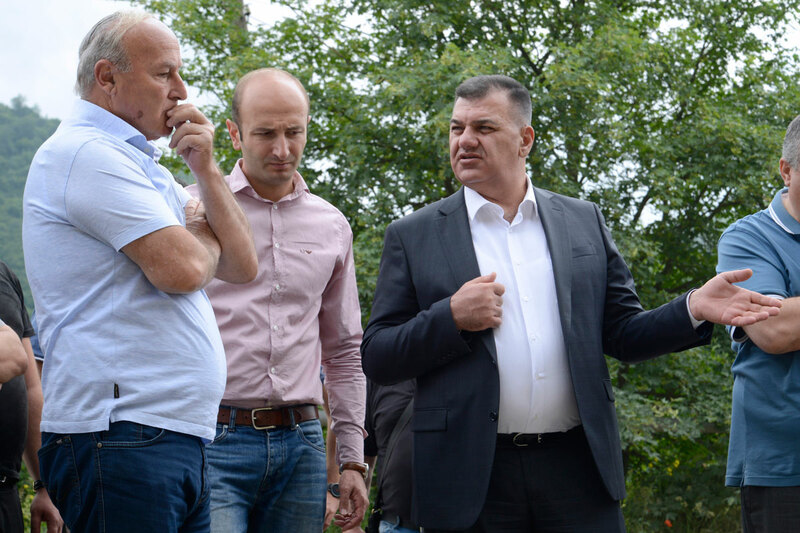 The representatives of the designing organization introduced several options to repair the road to the Minister. The Minister instructed to thoroughly study and choose the best solution to eliminate the problem taking into consideration all the risks. 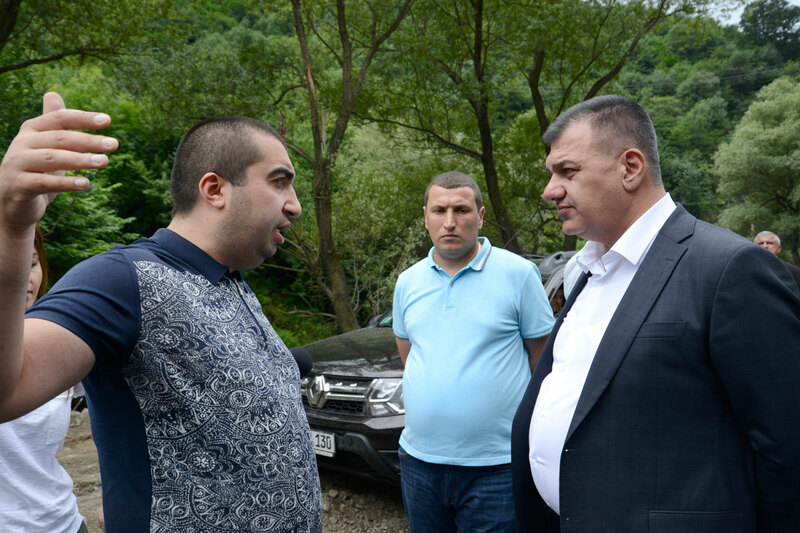 The Minister discussed the possibility of taking measures in order to ensure the safety of the vehicles traveling in that section of the road with the Police officers. 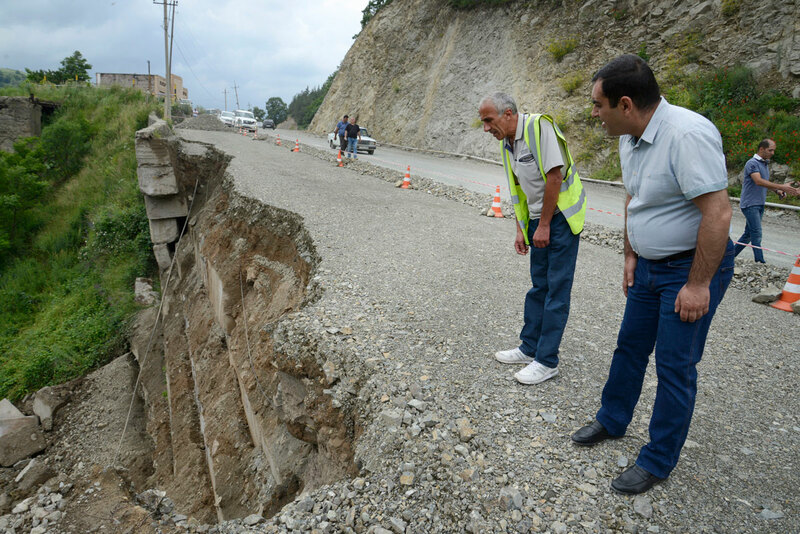 The constructors have demarcated the collapsed area with safety tapes; the traffic for trucks has been limited. The area will also be furnished with caution signs, the traffic will be allowed only for the residents of the nearby villages with exclusively light-weight passenger vehicles. The tunnel reconstruction works are also about to be completed. 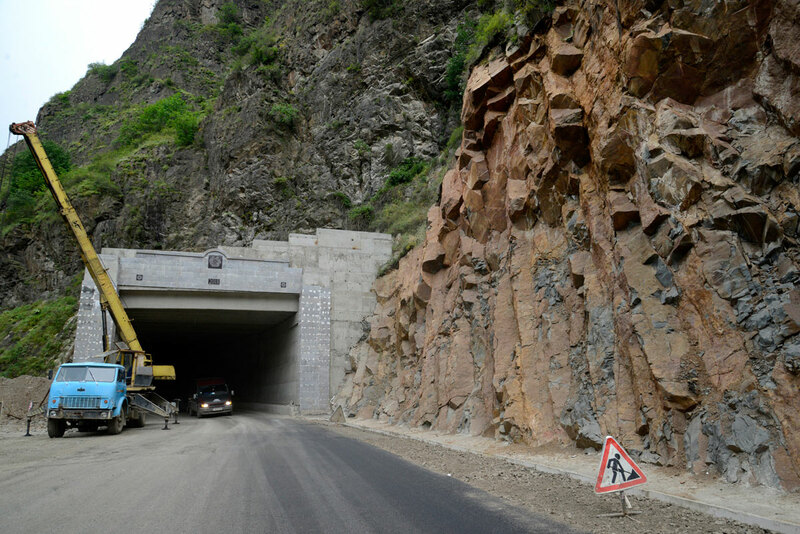 Mr. Arman Hakobjanyan, Head of the company “Kapavor” handling the construction in this section, mentioned that the lining of the entry and the construction of the pavements were completed in the 160m long tunnel. The interior design works are ongoing. 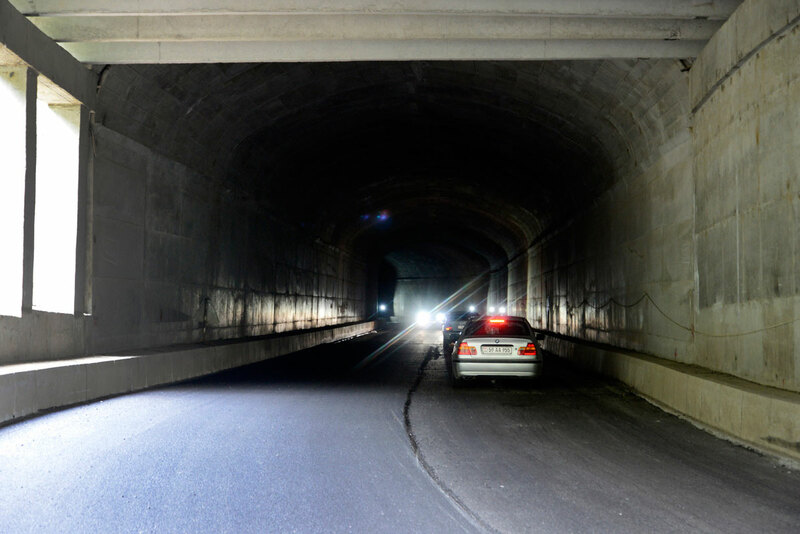 The construction of the 25m long gallerias ensuring the safety at the entries has been completed in the next tunnels with the length of 280m and 181m. 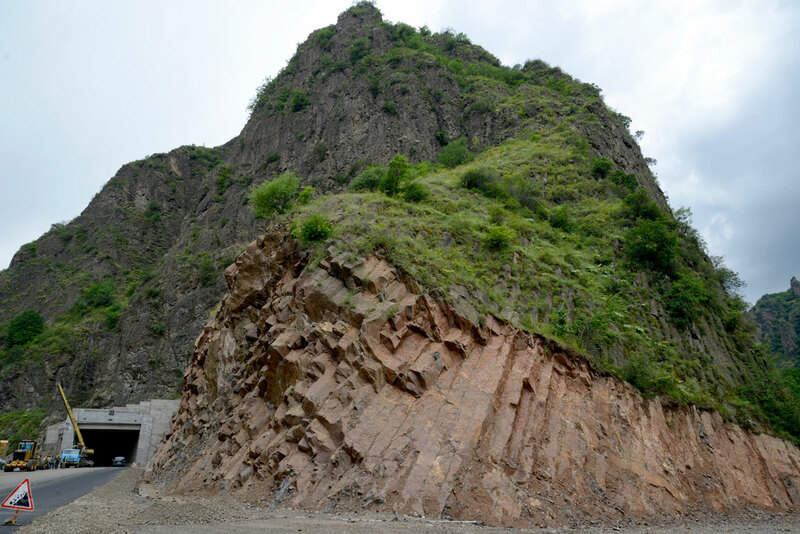 The entries to the tunnels have been lengthened for 25m in order to protect the traffic zone from rock-falls. Parallel to the old bridge the construction works of the new bridge are also entirely completed. 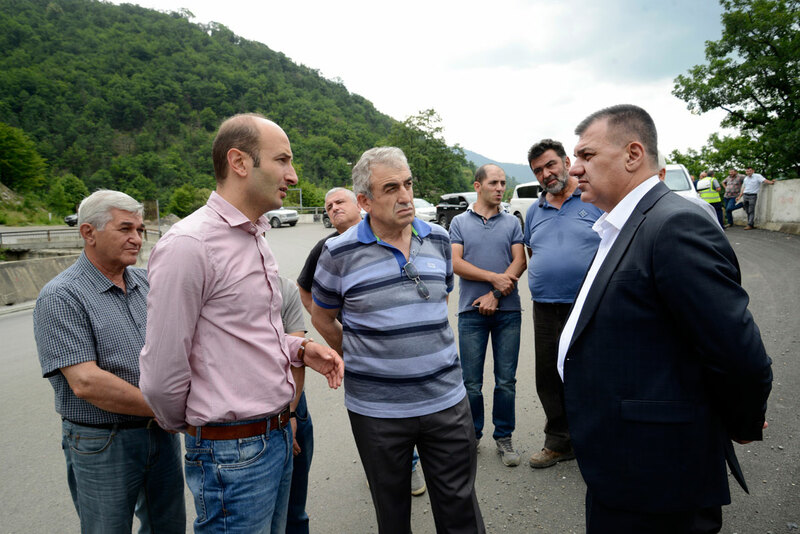 The Minister was also introduced to the details of the changes in the layout caused by the construction of the headquarters for the water intake of the hydroelectric power plant Shnogh. 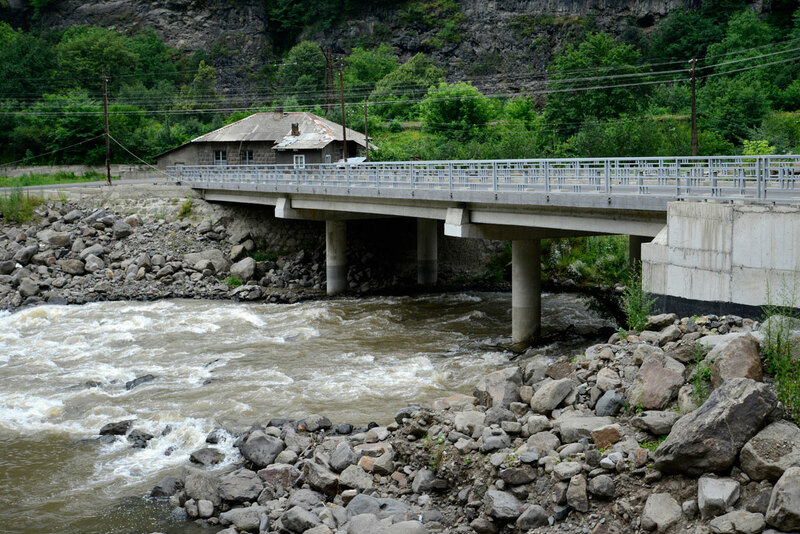 It was mentioned that the delay in the construction works of the hydroelectric power plant affected the road rehabilitation deadlines. 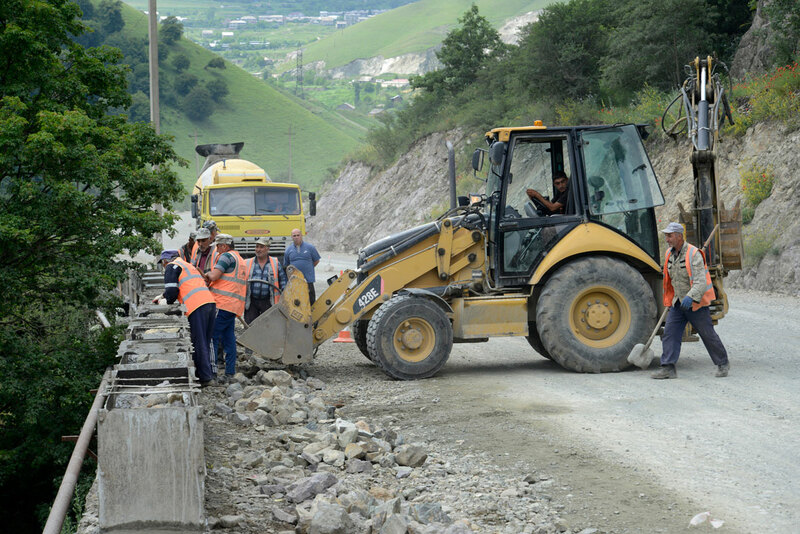 The Minister instructed to speed up the road construction works, to keep to the set timetable, to pay special attention to the quality.